On Monday I head back to London, ready to start my second and final term of University for third year and forever. I’ve had a lovely long break off since early December and because I opted for modules without written exams I didn’t have to go back at the beginning of January like many others. For the purpose of this post I’ll be honest, in second year I was in Uni three days a week and this year I have only been in two days a week. I can’t exactly remember my timetable for first year but I’m pretty sure it was three days too. Even in my third year of study I am still sometimes met with a negative response when people ask a certain question. 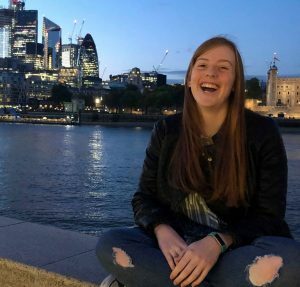 ‘How many hours are you in University then?’That, as a question is fine, but the response after mine is something which is left to be desired – the frequent response being ‘You’re a ‘part-time student’’, or something along the same lines. I’m not complaining that I am in three or two days a week, I’m simply answering a question. Being in two days a week, for the purpose of realism, means I am in lectures eight hours a week as I have two lectures on each day which are both two hours long. I’m still NOT a ‘part-time student’. If you didn’t already know I go to University in Central London, it’s always fun exploring the city with my camera. If you’ve read my ‘University Bookshelf Tour’ post you’ll know just how many books I have to read and third year is no different! Over the course of my three years of study how I was assessed changed year to year. In my first year 34% of my assessments were written examinations, 8% practical assessments and 58% coursework. In my second year, 10% were written examinations, 11% practical assessments and 79% coursework and this year, 14% is practical assessment and 86% coursework. I started off having more written examinations and now I have none as I am assessed mainly through coursework. I am studying for a BA in English so I can’t comment on what other students, who are undertaking BSc degrees experience. Even then I won’t pretend to know all about BA degrees as I know some degrees are more lecture intensive. I’m speaking just from my own experience. My first year was worth 10%, second year was worth 30% and this year, my final year is worth 60% of my final degree grade. I’m in University the least number of hours than my two previous years. I’m on a full-time university degree course, I pay £9,250 a year for my degree. I used to sit back and just ignore the comments in my first year, giving people the benefit of the doubt as they may not know how University works. Two years on, I’m bored of the comments and fed up with the stereotypes associated with degrees with fewer contact hours. I also think it’s unfair on students who are ‘part-time’ for whatever reason, that is not something to be ashamed of. I’m still NOT a part-time student, so why am I called one? My contact hours do not reflect my workload outside of class which is what people seem to forget. In my final year, my University gives us the option of doing a Major Project, either a Dissertation or a Creative Writing Project. I chose to do the Creative Writing Project. Since the beginning of third year I have been working on this project, as it an ongoing piece of work. Most nights throughout the week I am working on this project, it’s not finished, it’s not even close – yet I’ve been working on it since September! I spent nearly two weeks last term working on one part of one assignment, I sat painting on my kitchen floor for hours at a time, I then had to write an essay too and then a presentation speech. At the same time, I had two other assignments I needed to complete but I’m not telling you this for a pity party, I knew University would be intense and I’m not complaining about the workload. I also don’t want this to be taken as a rant at a comment which could be considered to be a joke, that may be the case but to make it continuously is undermining to both myself and students who are classified as ‘part-time’. Maybe people would begin to understand if I started documenting the exact number of hours I spend working on assignments outside of University, from the initial research to actually sitting down and writing. I work very hard on all of my assignments, I’m reading multiple books every week, I put a lot of hours in but I’ll hold my hands up and be honest when I say I probably don’t put in enough for some assignments. I’m not a perfect student, I’m not saying that at all, I want people to realise that University doesn’t just come down to the hours I actually spend in lectures. I could be in a lecture for two hours, not understand the content and have to go home and go through the entire two-hour lecture again. I can’t count the number of times I’ve broken down or been ill through stress trying to manage my work commitments. Please don’t then turn around and say to me how much time I must have off because I’m ‘barely’ in University. Breaks are always necessary so I often find myself baking delicious treats! If you didn’t know I also love drawing and I often get commissions of people’s pets and family members. I’m not the only one who has received these comments either! So, this is a message to everyone who has referred to someone as a ‘part-time student’ because their degree is scheduled to have low contact hours. You do not see the hours we do not count, outside of actual lectures, you do not see the reading we do and the time we spend working on our assignments, like me over my Christmas holidays and you do not see the balance struggle to get work done and maintain a relationship with the outside world. My degree is still a degree, regardless of contact hours. My degree is no less intellectual than another degree with more contact hours. A degree is a degree. Don’t undermine it by calling someone a ‘part-time student’ and implying that that in itself is a negative thing. We all work hard, in and out of class. Let’s start being proud of each other for doing a degree in the first place instead of bringing people down. I love this post! I’m in 5 days but only have 8 contact hours and I’m regularly told that’s “not a real degree”. Thank you for putting my thoughts into words! I really enjoyed this post! Something else that annoys me about the stigma that English is an easy degree is the fact that I never feel ‘done’. I always feel like there’s another book or journal article to read, or an essay to write. Glad you enjoyed it, thank you for reading. Definitely agree with that one too! Hey…I’m working on a Master’s degree COMPLETELY ONLINE! And even though there are 0 contact hours, it’s as grueling as any program. I can only imagine, wish you all the best for your degree! Thank you for reading. An Interesting and mind-opening read! I have never heard about it before, since it isn’t common here in my country, I guess. Not many people use the term “part-time student” to call someone. But yes I agree that a degree is a degree and they all don’t know the many hours we spend reading and doing assignments / projects. Thank you, I’m glad you enjoyed it. Exactly, that’s the main thing, every degree is different too. Great post – I study marketing and I only have 3 days in this term! I usually get comments about being a part time student from adults who have never attended uni which is annoying! Yes! It always seems to come from similar people but students with more hours than me like to have an input too! Thank you for reading, I’m glad you enjoyed it. I can see why this would be really annoying for you. I chose not to go to university but even doing my A Levels a lot of it was coursework based and I had to put in a lot of hours at home to get it finished so I can imagine that university is a lot worse! Just because you’re not sitting in a lecture doesn’t mean that you’re not still working on your degree. People wouldn’t call nursing students who work 12.5 hour days in a hospital ‘part-time students’ because they’re not in a lecture so why is it any different for you?! You sound as as if you’re taking care of business with your studies and, in the end, that’s all that counts. Thanks for sharing your journey. I am, thank you so much. Glad you enjoyed it. I feel this one so much! We might be part time students in terms of hours, but people seem to overlook the amount of time us English students spend writing, reading and researching- that in itself feels full-time! Great post. Thank you for sharing your experience, Imogen. I personally never experience this before, but my major (marketing management) is often stigmatized as an easy peasy one, comparing to financial management or strategic management. And I think my experience is somehow similar to yours, where what we’re doing judged as something easy or unimportant. Where in fact, we’re doing just as much work as everyone else, or maybe even more! Thank you for reading it. That’s definitely not okay, I hate the fact people think some degrees are ‘easier’ than others. We definitely are, wish you all the best with your degree! I learned a lot from reading this. I’ve never experienced this type of situation in my country. But there definitely seems to be a stigma about university vs community college and the degree you are striving to get. I love that despite the negativity, you continue on. And that, is what really matters in the end. Thank you, I’m glad you enjoyed reading it. There definitely is which is wrong in itself, thank you for your support. Great post! I’m starting to think about university now so it’s really interesting to see the different types of courses! As someone who has studied in both the UK and US, I must say there is more emphasis on out of class work in the UK than there is in the US. In the US, I would classes (on average) 4/5 hours a day, but less of a load outside class where in the UK I would have 4/5 a WEEK but still spend as much time working out of class as I would in the US. Even as a MSc I only had the few hours a week. I think more independent work really helps you learn and grow in your own way and hold yourself accountable. Great post, Imogen, and something that definitely needed to be said! Contact hours do not determine how time-consuming a degree is. It doesn’t determine what kind of degree it is, or how hard it is. I think people definitely think of all the hours that we aren’t at uni as “free time” to do whatever we want – and don’t understand that we have to study, do assignments, tutorials, notes, reading, class tests, etc. There is A LOT of behind the scenes! I opted to go with online/distance Ed when I returned to school for my Marketing Diploma, and I got comments like that ALL the time. I was literally carrying a full course load, I just did it all online/from home and people couldn’t wrap their head around it. I think there is a stigma there. People forget that you are supposed to use the time to read around the subject or study further when not In lectures. So maybe you could say ‘I self study 16hrs a week & attend lectures 8hrs which is full time’. But then again you don’t have to justify it to anyone! Creative educations like the one I did also get a lot of negative comments. “You’re not studying, you are just messing around with photoshop and illustrator.” Dude, if only! We had 4 really intensive days a week in class, and one day at home to work on assignments and study for our tests. We were working just as hard as anyone else at uni. Don’t let anyone talk you down! I think you should be proud of what you have accomplished by working this hard, no matter what anyone else thinks of it! Thank you so much! That’s what’s most important, if you know you are working hard then you just have to ignore the other comments. It’s a shame you’ve experienced this as well but thank you for sharing! It’s interesting how people view different degrees because I study with the open university, have /no contact hours whatsoever, and am technically actually a part time student – yet people have never been negative about it, despite the fact if i was doing the same degree in a brick university I wouldn’t have that many contact hours! Goodness me, people are so judgmental?! I don’t know why anyone would bother making that comment because what is it to them how many hours you’re in University? I think people can get very snobby about things! Great post for bringing this up! Exactly, very frustrating how flippant the comments are. For my Bachelor’s degree I had classes every day for all 4 years, but now for my Master’s it is mostly online. Even though I only attend classes for a few days every 4-5 months it doesn’t mean I’m a part time student or I’m not getting a real degree. Everyone who attends a university whether in person or online is a student & people shouldn’t undermine them based on how many hours they actually spend in class. I totally understand how you feel about this and how annoying it can be! In my third year of uni I only had lectures 2 days a week too but people just don’t realise the workload you have to do on top of that! The amount of assignments you have to do, I think I did like 6 each term and they’re not short assignments either.